To be honest I don’t even know how to reply to this review. I’m shocked! -Invoice fully paid – why pay if not happy? Robin services had undertaken our loft extension project on a 3 bed roomed terraced house to include a 4 bedroom and a shower room bathroom. 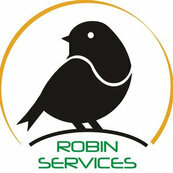 Robin Services have done handyman style in our home for around 7 years. Originally we lived there and were always happy with the finish.